Here is some of the great artwork my co-teacher Ms. Demetria has been cooking up in the classroom. These little Footprint Witches and Frankenstein's Monsters are simply the cutest! I especially love the witch's stockings. Such details! Lil' detail-oriented me just can't help but get excited about things like that. 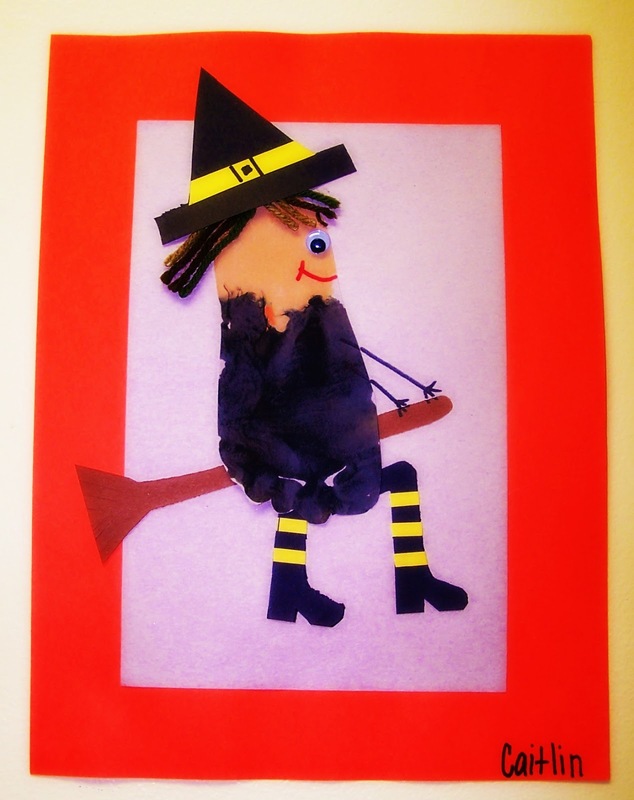 This witch craft was originally inspired by an idea found at Sweet & Lovely Crafts. 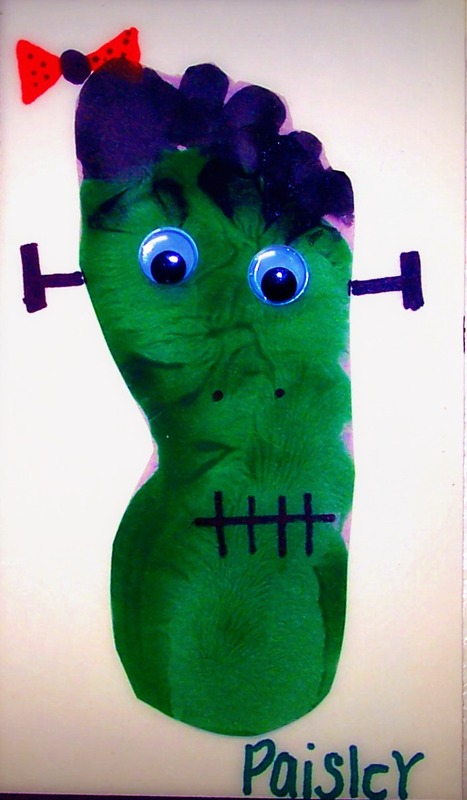 This Frankenstein Foot is super-cute! Give it a little extra character by adding a bow for girls and some googly eyes. This idea originally found at Fun Handprint Art.